« KEEL – 1987 ALBUM “KEEL” STILL PACKS A HEAVY METAL PUNCH! This entry was posted on February 19, 2010 at 1:20 am and is filed under Album Review, cool album covers, current heavy metal albums, current heavy metal bands, current heavy metal music, hard rock music, Heavy Metal, heavy metal album covers, heavy metal album review, heavy metal albums, heavy metal albums 2010, heavy metal bands, heavy metal bands 2010, heavy metal history, heavy metal music, heavy metal music 2010, heavy metal musicians, Metal, metal music, metal music albums, metal odyssey, Music, new heavy metal music, old school heavy metal, old school heavy metal bands, power metal albums, power metal bands, power metal music, rock music with tags charred walls of the damned, charred walls of the damned debut album, current heavy metal bands, heavy metal album review, heavy metal albums, heavy metal albums 2010, heavy metal bands 2010, heavy metal music, heavy metal music 2010, jason suecof guitarist, jason suecof record producer, melodic metal music, Metal, metal blade records, metal music, metal odyssey, Music, old school heavy metal, Power Metal, power metal bands, richard christy drummer, steve digiorgio bass guitarist, the howard stern show, tim ripper owens vocalist. You can follow any responses to this entry through the RSS 2.0 feed. You can leave a response, or trackback from your own site. Thanks for the heads up on the “bonus track” of “Nice Dreams”… I just wish they (whoever that may be), would just put that song on the American release and be Metal done with it. I could never figure out the “mindset” of bonus track “availability” – no insult intended towards Charred Walls of the Damned however, after all, business is business. Christy is something else though! You are right on the Metal bulls eye with Christy spotlighting Powermad… I second your comments. This is a perfect example of just how tight the Metal “family” can be. Man, I am psyched you mentioned 6 songs are in the racks already… nice! I will without hesitation, buy the single “Nice Dreams” from itunes… it’s a Metal must! I had a friend text me just the other day saying I needed to check out this band. He has different tastes in metal than I do, so I wasn’t sure what to expect. I had never heard of them. MySpace samples sound good. I’ll have to pick this one up. You know… the more I listened to this band, the more I liked them. There is some added intensity overall with this album, due to who is involved as musicians. 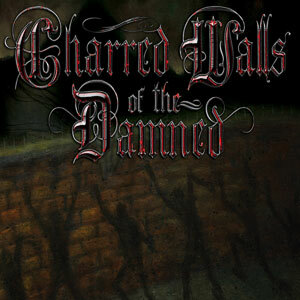 Honestly, Charred Walls of the Damned are the real deal. I picked this CD up at fye for 9.99… it comes with a DVD too… “the making of” kind. Yep, just picked mine up today from FYE. Hope to have my thoughts posted on it sometime next week. 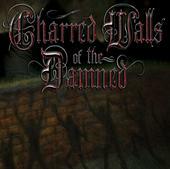 Hopefully you will like it… then I can welcome you to the Charred Walls of the Damned fan club! if it didn’t have tim owens on it i’d be more interested. i listen to several tracks off of this and he kills it for me. his voice needs so many effects and i am pretty sure one of them is a pitch tuner. i love richard christy and steve digiorgio but i can’t get past the awful vocals on this. I was wondering what you would might think of this album… it’s funny, yet I kinda knew you would not like the vocals! (Based on Ripper’s similarities to Rob Halford). Hey, it’s what you interpret from listening to his vocals… plus you have the experience and insight to make that call. I’m just a sucker for overpowering and searing vocals… I can’t kick it. not to jump on the Sean bandwagon around these parts, but I agree. Great songs here but something about Tim’s vox just don’t cut it with me. Same for his solo stuff, Iced Earth and esp. the PRIEST material. *When I hear him, I hear a bad copy of King Diamond. Don’t get me wrong, it’s a good voice, but originality speaks a lot to me and every time I hear him (as much as I WANT to like the guy) some huge RED FLAG just pops up in my head as a road block. I liked the Roadrunner All-Stars DVD, but wait, he was imitating the KING then too! Sorry Stone….thanks for the Charred tip though.